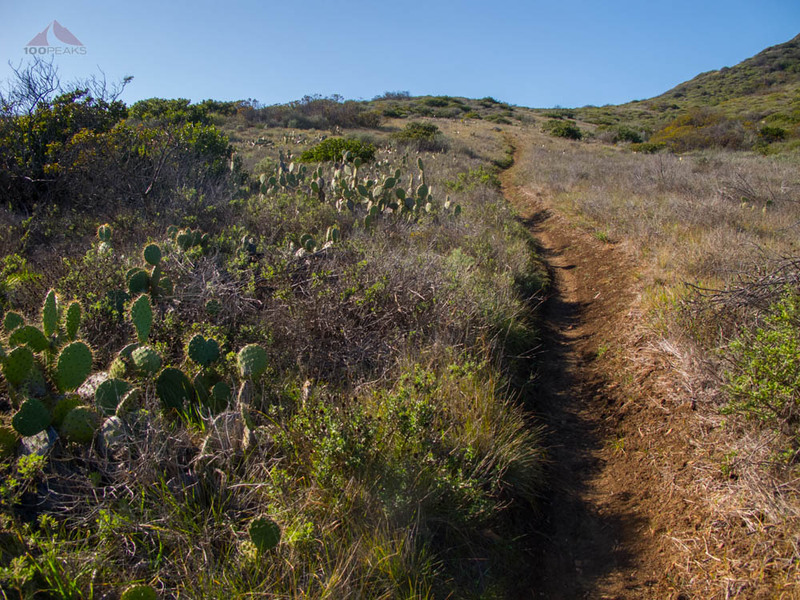 When my oldest friend and I were working out a good place to camp, Point Mugu State Park came to mind as an ideal spot at the midway point between us. It turned out to be a great weekend. And something that should happen more often than once every 40 years. Update 05/03/2013: Many, if not all, of the places in this post were recently burnt in the Springs Fire, which started in the Camarillo area and as of this update has reached 28,000 acres. The beautiful Serrano Valley area we visited on the second day of our trip was in the burn zone. Enjoy these pictures, as I doubt the beauty of the area will return soon. I'd have to say, I am pretty lucky. I was born and raised in one of the best locations in the world (Southern California; dare I say best?). I was lucky enough to have had a family that didn't move until I was in college, giving me a continuous peer group throughout K-12. And I am lucky enough to have had a friend since I was about nine months old. Yes, we've known each other since we were both in diapers. The Seef and I have such a shared history that it's hard to think about my childhood without him. We lived literally across the street from each other. Plenty of nights were spent playing with our Atari systems, manually typing in code we read from PC Magazine, and endless days of swimming in my swimming pool. Always skirting the line between amazing fun and getting into trouble. We started associating with different groups of friends once we started working at different places, but there's been a certain comfort in life knowing that my best friend is out there and probably understands me more than most people in the world. We were each other's best men for our respective weddings. He, however, does not share my crazy obsession with the outdoors (dare I say yet?). Sure, he's gone car camping with his family and went on an overnight backpacking trip in Boy Scouts (one was enough), but nothing as crazy as my trip to Villager Peak. 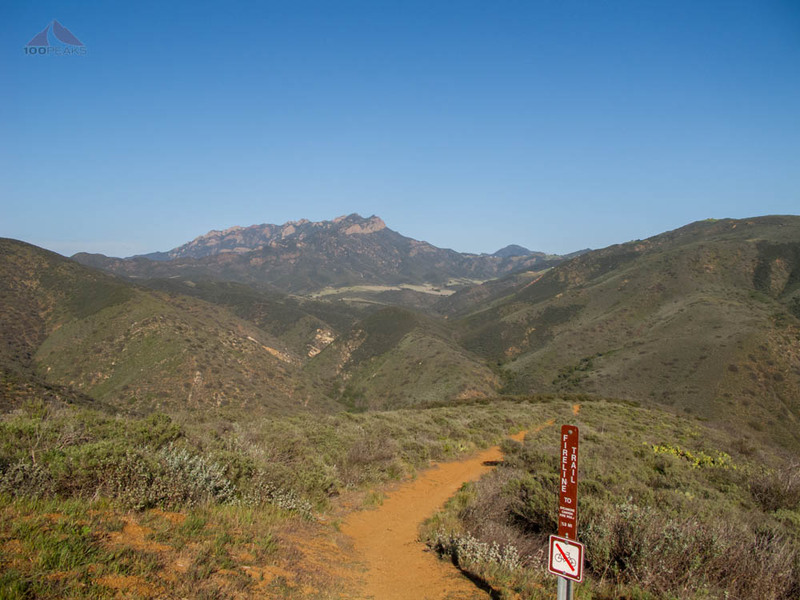 So, rather than forcing a death march and a purchase of gear that he would likely never use again, I decided we should car camp at Sycamore Canyon at Point Mugu State Park. We only had one night to spend in the outdoors, so our time was limited. In addition, we ended up getting a late start, as on the way I had to make a side trip to a design center to pick out some finishes for the new home I am purchasing. We met at Coogies in Malibu, which was a nice place for lunch with excellent service. We caught up with the immediate things that were going on in our lives while I let him know what plans I had for the weekend. He let me know that he wasn't up to pulling long miles of hiking and I let him know that I probably wasn't up to it, either (I probably was). We drove up the coast to the Sycamore Canyon campground in Point Mugu State Park and I was surprised to see a "Campground Full" sign at the entry gate. When I had booked our reservation online a couple of months ago, there were plenty of reservations. But now, there were people everywhere, mostly RVs and trailers. Almost every group had a dog and there was music playing from many campsites. I started to get the sense that this wouldn't be a Communing with Nature kind of weekend. We decided to use his tent, and it took us a little while to figure out how to set up the poles, even with the instructions. With everything properly situated, we hit the trail. For some reason, I thought we were closer to Mugu Peak than we truly were, so we started hiking from near the northern end of the campground. We followed a dry stream bed and soon connected to a trail leading the the west that headed up the mountain. We encountered plenty of people on the trail and I was mindful of the time and the fading light, as we had gotten a late start. The trail snaked gradually upward and, before long, we were on the Overlook Fire Road. We encouraged some mountain bikers that were puffing up the trail and we kept on climbing ourselves. Double-checking my iPhone map, I then realized that we were miles away from Mugu Peak and it would not be something that we would do today. We hiked a little more up the fire road until we rounded a corner and could see Boney Mountain in the distance. I let the Seef know that we would be hiking in that area tomorrow. We stood and chatted there, watching a gopher pull clumps of grass into the ground. We took the Fireline Trail steeply downward toward Sycamore Canyon, and the Seef was convinced that trekking poles were a real and valuable tool. The trail switched back and forth down to the canyon floor and we walked the flat, wide trail back to the campsite. It was a nice hike, not too steep, so we could chat the whole way. It's amazing how old friends, however long apart, and settle back into old jokes and easy laughter. We enjoyed a nice night, talking about many things over the warmth of the fire. The temperature got pretty cold, but we had plenty of wood to burn. We tuned out the noise from the other campsites while we were up, but, when trying to sleep, it was hard to ignore the large party that was going on several campsites away. It must have been about 2AM before they called it quits. I decided then that my next camping trip would be in the backcountry, where the cost of entry, namely carrying one's own supplies, would make for a more remote and serene camping experience. The next morning, we packed up and drove down the road to Serrano Valley, the site where an old ranch use to be. There were still some abandoned machinery and signs of inhabitation, like sinks and stoves. The trail was very pleasant and rolling through the bottom of the valley. There are a few places to rest in the shade, as well as a stream nearby, but be wary of the poison oak. The valley was pretty green at the time of our visit and Boney Peak and it's massive face presided majestically over us as we enjoyed the perfect weather and peaceful setting. We set to exploring the ranch ruins and theorized where the house was and where the boundaries were. The trail continued on, but we lingered where the ranch was, once again sharing stories and just enjoying our limited time together. We hiked back out and drove around, looking for a place to eat, but Malibu was very busy. We found Coogies again and enjoyed a second lunch in two days and savored each other's company. Similar to my other recent camping trip with an old friend, it was nice to see how we have evolved, and have been successful in our ways. But our underlying humor and sense of fun remains unchanged. I think we will alway be the two kids who lived across the street from each other. And that's a very good comfort.